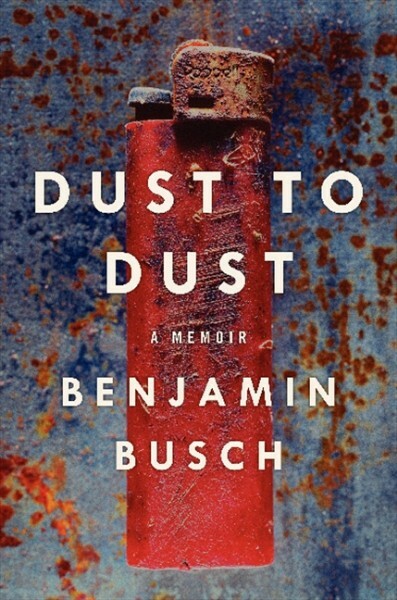 Benjamin Busch is an award-winning writer, actor, photographer, film director, decorated United States Marine Corps Infantry Officer who served two tours of combat duty in Iraq, and the author of Dust to Dust: A Memoir (Ecco). Fans of the hit HBO series The Wire will remember him as Officer Anthony Colicchio. 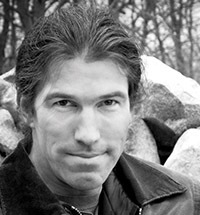 Busch's writing has appeared in Harper's and has been twice nominated for the Pushcart Prize, and he has been a guest commentator on NPR's All Things Considered. Busch's wide array of life experiences and exciting candor make him that rare speaker who is an expert in many fields: the military, acting, directing, photography, and writing. He is a sought after speaker at universities and colleges, military organizations, film schools and festivals, and writing conferences. Busch was born in New York City and grew up in rural New York. Soon after his graduation from Vassar College, he accepted a commission in the United States Marine Corps. He served four years as an active duty infantry officer and then from 1996 to 2007 in the Selected Marine Reserve. In 2007, Busch began his acting career with small appearances in Party of Five, Homicide, and The West Wing. In 2003, he deployed to Iraq as the Commanding Officer of Delta Company, 4th Light Armored Reconnaissance Battalion, and then again in 2005 with an infantry battalion in Ar Ramadi. Busch took many photographs during these two deployments and eventually used them in his traveling exhibits "The Art in War" (2003) and "Occupation" (2005). In 2004, he began playing the role of Officer Anthony Colicchio for three seasons on The Wire. In 2007, he acted and consulted on the HBO mini-series, Generation Kill. He continued his work in film as a writer/director, releasing the films Sympathetic Details in 2008 and Bright in 2011. He also wrote the short memoir Bearing Arms, which was published in Harper's magazine, and has published several poems and essays. In his Dust to Dust talks Busch discusses extraordinary life events: life and death, war and peace, the explorations of childhood and revelations of adulthood. He tells the story of how he, an ordinary American boy, became a soldier, ended up fighting in Iraq, and how so much of what he encountered there reminded him of home. Throughout his talks, Busch weaves together a vivid record of a pastoral childhood in rural New York, brutal Marine training in North Carolina and California, and the worst of the war in Iraq, seen first-hand. Busch speaks movingly about moments of danger and death, real and imagined: in a helicopter, going down; wounded by shrapnel in Ramadi; playing a dead man on television; dealing with the sudden death of friends in combat and of parents back home. Busch imparts to his audiences an unforgettable meditation on life, death, and how the children we once were remain alive in us all. Busch lives on a farm in Reed City, Michigan, with his wife and two daughters. "Dust to Dust is not a typical contemporary war memoir. . . . It partakes of the pastoral strain associated with World War I trench-poets like Edmund Blunden and Edward Thomas." "Beautifully told. . . . There is not one bad sentence in this book. . . . I cannot wait to see what [Busch] writes next." "Extraordinary. . . . It is impossible to read any part of this work and not be moved. . . . [Dust to Dust] is one to be savored. Don't fail to read it." "[Busch's] portrayal of the war in Iraq is unsentimental and immediate." "Essential Iraq War reading. . . . The conflict between Busch's pacifist upbringing and his evolution into a decorated Marine rests at the heart of this fine memoir." "Beautifully written. . . . Captivating. . . . It's fascinating to journey through [these] literary landscapes as time passes, swirls back, and eddies like a stream before flowing away." "Elegiac, funny, wistful, deep, and wonderfully human, Dust to Dust moved me to laughter and tears, sometimes simultaneously. . . . After reading this book, you will want to go outside and really look at our world." "Busch is a brilliant prose stylist for whom every pause counts, a man of three worlds -- the heart, the mind, the earth. Dust to Dust is a stunning literary work about this mysterious trinity, and a return to home." "Busch is a poet with the soul of a civil engineer, and for as long as his body sustains him, he is the perfect soldier. I loved every page of this mesmerizing book."